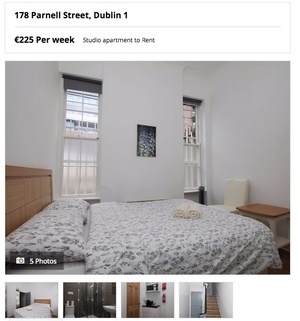 Families are homeless now because 4-bedroom properties like this one (above) at 2 St Vincent St, Dublin 8 is crammed with bunk beds for 8+ foreign language students at €400pm each. #HAP for family of 5 = €1,560pm approx, students pay excess of €3,260pm. Posted in Misc and tagged Crying Chair, Daft at 10:01 am on February 19, 2019 by Bodger. to be expected under the blushirts..
It’s immigration. I don’t see any opposition parties opposing immigration. Most of these ‘students aren’t students and most are working, keeping wages and living conditions down. I can see why FG/FF have no problem with this but it seems the opposition don’t have an issue with it either. And no, most are not of the ‘highly educated’ variety either. Not that it should make a difference. ah the casual “blame the “foreigners” trope.. when they have nothing to do with the inept governing of our country. I’d imagine ol’ Mel buys in to Government distractions easily. I’d say Mel thought the water charges protesters had a sinister fringe. and that anyone on strike is disrupting society and sure dont they get more than their fair share. and so on and so on. This is illegal immigration, that’s all I think about it. It is being used by the government to keep wages down and rents high..
I’m not sure where you are going with govt. distractions? They love neo-liberal globalism, & low skilled immigration is a fundamental tenet of that. The govt. is quite happy for willing middle calls stooges like yourself to be pro open borders. It doesn’t effect you and it doesn’t effect them. It effects ordinary working calls people. There is a serious housing crisis and the govt, is happy with the status quo. You are unwittingly doing their job for them. I’m not ‘blaming’ the foreigners though. They are being exploited and shouldn’t have to live like this and they will do what they have to do. However this is illegal immigration, and a blind eye is being turned to it as it suits the free marketeers. Everyone loses the immigrants working class people who can’t compete with the race to the bottom. €100 per week. Wow, that’s great value! Wish I was a land lord…. Everyone loves to see a return on their investment. Nor so long ago that some of those people couldn’t afford to keep their investment properties. Fantastic news. 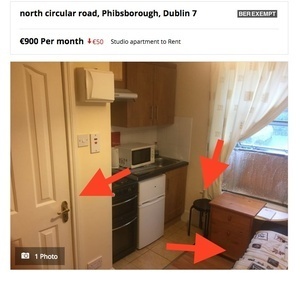 you’d think after the famine, and under our own leadership, we’d slip away from a system where landlords run amok and be damned with the common man. Sometimes I think we would’ve been better off just leaving the brits rule us. At least we could feel persecuted, rather than persecuting each other. To be honest the Gov’t need to double funding to the RTB. There are not enough rogue landlords being caught and prosecuted. You would seriously worry about everyone’s mental health in this housing crisis. Government don’t fund RTP. It is self funding. 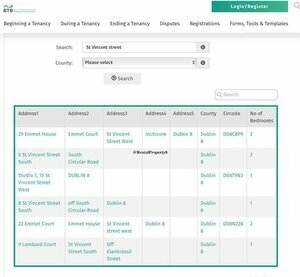 Perhaps RTB should increate their registration rates to the good landlords (who register) to pay to catch the bad ones (who don’t)? this is great work bring done by rental investigator. the canny/scummy landlord out there is eschewing regulation by taking language students. all cash all desperate all vulnerable. wild some of rent are being collected from these slums. imagine Collecting 3-4k a month without having to do a tap for it? as I’ve said on this forum before. language schools of which there are over 60in Dublin have carte blanche to recruit as many non EU language students as they wish…there are NO LIMITS. how is this right? It reminds of the infamous rookeries of London’s East End, where, by the 1880s, the landlords were taking more in rent per square foot than those letting properties in Grosvenor Square. Agreed, a lot of those ‘schools’ are just immigration scams. it’s a great time to own rental property, that’s for sure. Long may it last. And before you reply with the usual vitriol, not all of use are scummy. In fact, there are very few so called “rogue landlords”. 497,111 households renting out of a total of 2,000 000, that’s a lot of good LAndlords. 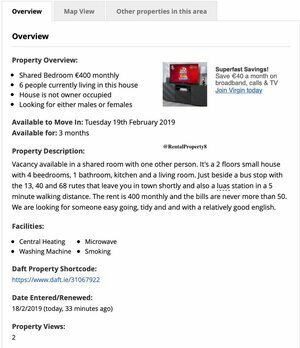 Define a ‘rouge landlord’ please’? 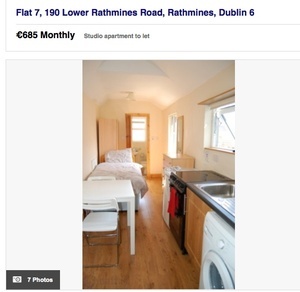 The renter class in Ireland are gouging it for all it is worth and while most are not packing 4 beds into a room, they are most certainly milking it for all it is worth. 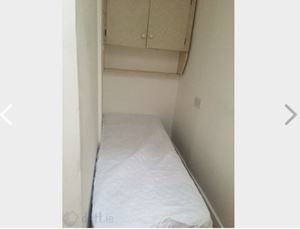 €13 200 a year for a bedsit on the NCR. 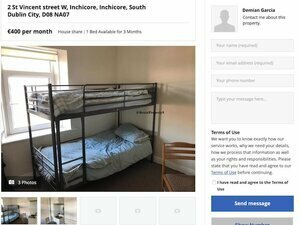 For a room, in the wrong part of town, with another 6-10 tenants in the building and god knows how many other occupants tramping around in each. ‘Rouge’ is saying we are not like him or her. Well, if you used the ‘market’ as an excuse in the past five years to price jack then you are EXACTLY the same because you couldn’t care less about the human misery you inflict. The only difference, is the degree of greed. Demien here. The crumpled bed sheets are extra. Towels to rent too. No curfew, so there’s no guarantee that you will actually achieve the sleep that you so need. Tough.